Who among us is not drawn to a novel or a well-written biography? Whether it is the narrative form of telling a life story or the reader’s ability to think about the subject’s inner life and relationships, these are clearly the most enduring and popular forms of writing. Yet medieval historians seldom have enough information to write a biography. The lacunae in our sources present an even greater challenge for the writing of medieval women’s history. 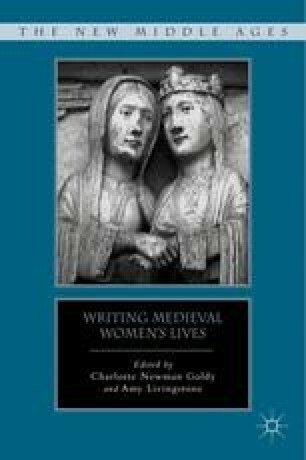 The historians in this collection are seeking to expand the ways we examine and write about medieval women. They are interested in the great and the obscure, and in women from different times and places. The contributors all attempt to get closer to the life as lived, personified in individual stories, to understand the aspects of living in the past that were rarely “recorded.” At the same time, they struggle to balance the desire to recover the personal with the rigors of archival scholarship and grounded historical analysis. As such, the chapters in this volume prompt us to rethink what we can know about women, how we can know it, and how we can write about them to expand our insights.